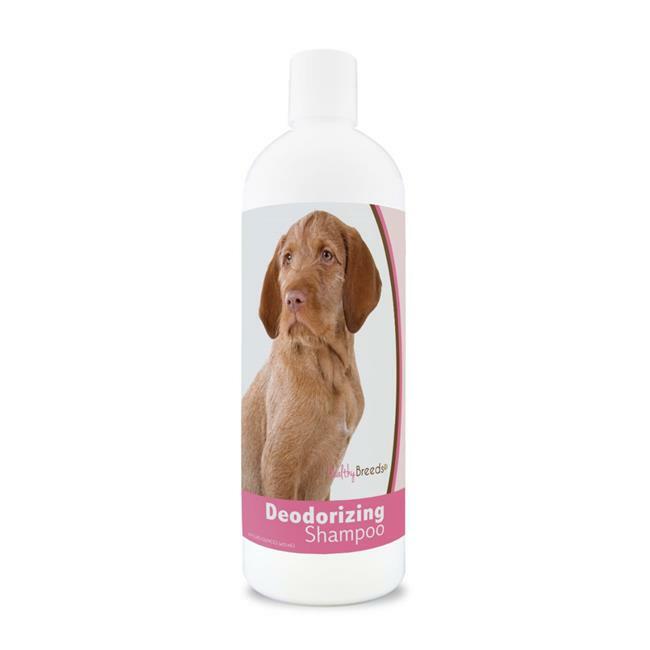 Healthy Breeds Deodorizing Shampoo is a gentle, hypoallergenic, soap-free formulation containing our exclusive deodorizer, Sweet Pea Infusion. Contains emollients for moisturizing and proteins for conditioning. Natural Moisturizing Factors promote hydration of skin and coat, while essential fatty acids nourish skin and aid in the control of flaking and scaling. Properly pH balanced, it cleans gently, lathers well and rinses out easily. Non-drying, deep cleansing formula leaves a pets coat soft and bright. Its safe to use with topical flea control products, may be used as often as necessary, and will not strip your pet's coat.